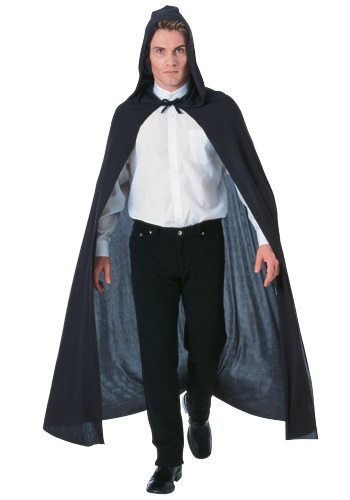 Our Black Hooded Cape is a great versatile accessory for anyone trying to give off a little mystique. This one piece, one size fits all article could either send people running or bring them in closer. It all depends on how you wear it, you mysterious thing, you!